Veterans Day is November 11. This is the day we honor everyone who has served in the U.S. Armed Forces. Many veterans never return to life as a civilian the way they knew it before serving in the Armed Forces. They are changed in ways physically and mentally that civilians can’t even begin to imagine. Thankfully there are programs like Adaptive Sports that help veterans start to heal. Many wounded veterans go on to compete in such high level competitions as the U.S. Paralympics, the Invictus Games, and many other programs sanctioned by the Department of Defense and the Department of Veteran Affairs. The Department of Veterans Affairs Adaptive Sports program first started in 2013 as the U.S. Paralympics Integrative Adaptive Sports Program. The program provides funding to organizations wanting to support disabled veterans or members of the Armed Forces as they participate in sports in their home communities as well as higher level competitions. Veterans Affairs is authorized to fund up to $8 million annually for Adaptive Sports programs. Funding is based on the quality of proposals received. 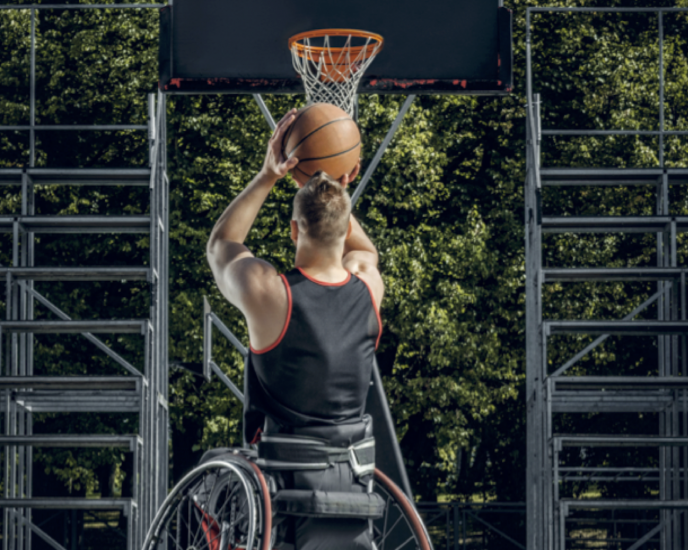 Disabled veterans may also qualify for monthly assistance under the Veterans Affairs National Veterans Sports Programs and Special Events Office if the veteran meets minimum military standards. In addition to helping wounded veterans get involved in sports again, the Adaptive Sports program also helps veterans recover from leaving the military – suddenly and not by their own choice. The program gives members a sense of camaraderie again. They get out of their heads by becoming part of something bigger. Adaptive Sports programs are a great source of stress reduction and physical fitness. Adaptive Sports programs give participants a redefined mission of training for something bigger and feeling like part of a team. By learning skills and practicing their sport, program participants achieve a better quality of life than they would if they didn’t participate in the program. The program also helps foster understanding and respect from the non-military community that supports and attends events. There are a number of ways you can get involved with the Adaptive Sports Program and help disabled veterans in your local community. Contact your local Veterans Affairs office for more information. It takes a lot of volunteers to run Adaptive Sports events across the country. Here’s a rundown of some of the more popular events. National Veterans Valor Games are scheduled around the country every year. National Veterans Wheelchair Games are held annually for paralyzed veterans. Adaptive Sports Clinics offer adventure sports and recreational activities to injured veterans. The Invictus Games is an international competition developed by Prince Harry for wounded members of 15 different countries competing in 10 different sports. Adaptive Sports programs are a great way to help wounded veterans recover and rehabilitate. BallQube supports and thanks all veterans for their service this Veterans Day. Find out more about the Veterans Affairs Adaptive Sports Program here and remember our veterans this November 11.